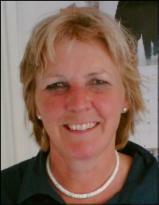 Elaine has ridden all her life and evented up to Advanced Level for twenty years. 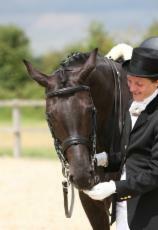 Currently she concentrates on dressage, competing with her warmblood mare who is also part of the team. Elaine has extensive experience and depth of knowledge including; Veterinary Nursing experience, is an SMS trained saddle fitter and a qualified Equine Sports Massge Therapist passing with Distinction. Therefore she has an excellent understanding of equine anatomy & physiology, horse and rider balance and the stresses and strains placed on the equine athlete through training and competing. Elaine's husband, Alf Hall of Equine Foot Clinic Ltd is a Remedial Farrier so she has a keen interest in the Thermal Patterns of Equine Feet and horse locomotion. She has attended training courses given by Dr Tracy Turner DVM, Prof Ram Purohit, Dr Jim Waldsmith DVM and Dr Ken Marcella DVM, all pioneers in Veterinary Thermal Imaging. Elaine has been trained in Equine Dermatome Patterns; nerve injury and chronic pain are of particular interest to her. She is a Level 1 TCL Certified Thermographer, a member of the Veterinary Thermal Imaging Society, a member of the American Academy of Thermology (AAT) and a founding member of the International Equine Thermography Association (IETA). On the animal front Janet continues to provide in-house consultation at Lansdown Veterinary Surgeons in Stroud, Dragon Veterinary Centre in Cheltenham and Folly Garden Veterinary Clinic Tewkesbury, in addition to making home, stable and yard visits.